When the painted cave of Altamira in northern Sapin was discovered in the late nineteenth century few believed that the decoration was the work of stone age man. As further discoveries were made in France and Spain and archaeologists proved the antiquity of the remarkable art, modern man realised the great skill and artistic ability of his forebears during the extreme cold at the end of the ice age. Between 35,000 and 12,000 years ago, hunters penetrated deep into caves to paint and engrave images of wild animals, many of them, like the mammoth and wooly rhinoceros, now long extinct. Because of the risks involved, this was clearly done for some special, perhaps religious or ceremonial purpose. At caves like Lascaux in France many parts of the walls and ceilings were covered with spectacular and colourful paintings, while other caves were carved or engraved with the lifelike figures. 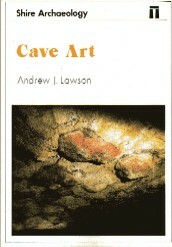 This book describes the evidence of the way of life of the artists and how archaeologists pieced together the evidence of this remote period. It analyses how the art was executed and is dated, what it portrays and where it is to be found. The animals depicted are described and the interpretations behind the decoration explored. The book is written as an introduction to a complex and fascinating subject which is seldom presented and explained in an uncomplicated fashion.